Though we love the sleek lines of our smartphones, it only takes one accident for their glass screens to turn into a terrifying spiderweb of cracks. The brand-new iPhone X sports an edge-to-edge OLED screen and a glass back, but even though Apple claims the glass is the most durable ever used in a smartphone, it won't survive a drop. And after spending $1,000 on a phone, the last thing you want to do is spend another $280 to repair the screen — which is what you'll pay if you take your cracked iPhone X back to Apple. Cnet tested dropping the new iPhone X from different angles at a height of 3 feet — around pocket or purse level — and found a single drop on a hard surface was enough to cause significant cracks. After taking a tumble, the iPhone X continued to work just fine, but its looks didn't impress. 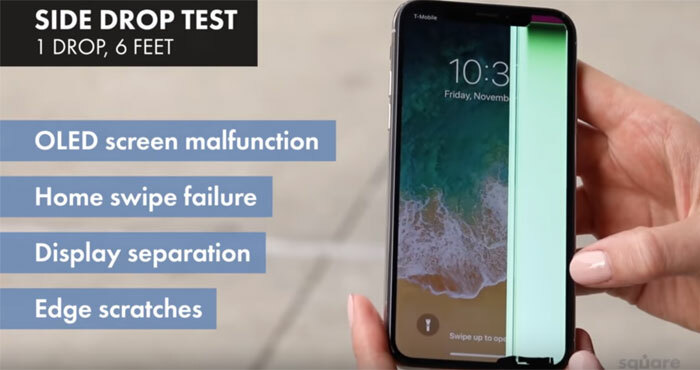 Cnet's tests are fairly true to life, but they're also done by hand and don't necessarily provide an accurate measure of how breakable the phone actually is. Insurance company SquareTrade, however, uses robots to perform tests in precisely the same way each time, which makes the results less of a product of chance. However, the company tested drops from a height of 6 feet, which are less likely to happen in real world use — and were catastrophic for the iPhone X. Dropping the phone face down shattered the screen, leaving it unresponsive and turning the new iPhone into a pricey paperweight. Dropping the phone on its side didn't do much cosmetic damage, but left the screen non-functional. A final test, dropping the phone on its back, shattered the back glass, leaving loose shards that made the phone difficult to safely hold. That makes the iPhone X the most breakable iPhone the company has ever tested. However, there's no denying that the iPhone X is expensive to repair. The phone's OLED screen looks incredible, but it's more expensive than the LCDs older iPhones use. And while you can shop around for repairs, Apple's repair price sheet says it all. A screen repair from Apple will cost $280 (compared to $170 for the iPhone 8 Plus and $150 for the iPhone 8), while other repairs will cost $550 (compared to $400 for the iPhone 8 Plus and $350 for the iPhone 8). That's a huge expense after you've already spent $1,000 or more on the phone itself. It's no surprise that SquareTrade says the solution is to get an insurance plan for your phone. You can buy coverage directly from Apple, paying $200 for two years of AppleCare+ coverage, but that's not cheap, either — and you'll still pay a small service fee for repairs ($30 for a screen repair or $100 for other damage). SquareTrade is more affordable, offering two years of coverage for $130 with a $100 deductible. But you have lots of options for phone coverage, including getting it from your cellular carrier — but before you choose, check out our breakdown of what each insurance plan really costs. It's worth noting that none of these drop tests were done on phones in cases. Almost any case will add an extra layer of protection to the back and corners of your smartphone, which often absorb shocks that would shatter a screen. And with the cost of your iPhone X, why risk an accidental drop? Put your phone in a case and there's a good chance it will withstand a fall without damage. 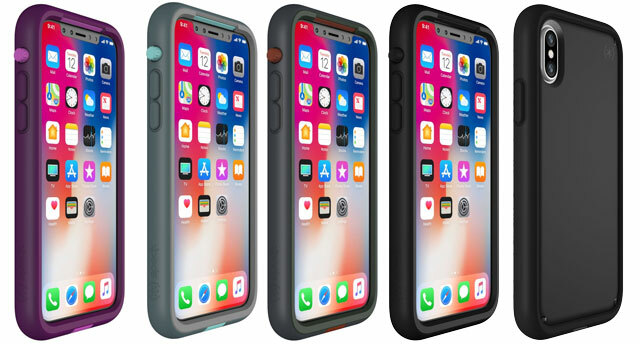 Speck Presidio Ultra ($49.95 on Speck, $39.95 on Amazon)– Four layers of material protect you iPhone X and it’s rated for falls of up to 15 feet. Otterbox Statement Series ($35.95 on Apple) – Slim scratch-resistant clear case with leather accents, backed by OtterBox's Certified Drop+ Protection Seal, which means it goes through 24 tests — 238 hours of testing — to prove they can keep your phone safe. Lifeproof NEXT case ($79.99 on Lifeproof) – A minimalist looking case that has drop protection of up to 6 feet.